GOING “HOME” TO GERALD ~ I am a Writer Too!! Chinny read the sms again and felt a warm tingle all over her body. She smiled and tried to recall how often she’d read it since she received it shortly after 5 a.m., maybe eight, no, twelve times. It didn’t matter. She’d read it so many times and would probably do so all day long. And why not? The writer, Gerald, was the reason Nsukka was bearable when school was in session. She had fought her parents to seek admission into UniLag or any other school in Lagos, but they wouldn’t hear of it. Being alumni of the University of Nigeria, Nsukka, (UNN) themselves, they generally over-rated the school in her judgment. They claimed that the quasi-rural environment is specially suited to academic pursuits but she had countered that, “All work and no play will make Chinny a sad girl”. They even resorted to repeating some slogans which she considered ridiculous like, “A UNN graduate is naturally ahead of you” and “In UNN, we restore the dignity of man”. “Whatever!” she would reply, seeing that arguing with them was a futile exercise. So to UNN she had come and just when she thought she would die of boredom that first semester, she met Gerald and agreed with her parents that UNN was really the place to be. He resumed late having “shopped” into Mass Communication from Mechanical Engineering, the course he had been admitted to study, because he had insufficient credits in science subjects. He was a natural leader and although they already had a class representative, he secured the help of graduate and final-year students to organise tutorials for all the first-year courses. It wasn’t long before they became an item. Her friends cautioned her to slow things down. Some of them claimed it was unwise to have a boyfriend in her class. They did have a point there because she and Gerald had been caught exchanging romantic glances and love notes by several lecturers. But she didn’t care. What she was feeling was more important than all their “stuffy” lectures anyway. Before the end of the second semester, she was spending more time in his place than at hers after lectures. There was good reason for that, she’d told herself. She stayed in the hostel and there was little comfort and many prying eyes there. Gerald shared a room with a friend off campus. They had a refrigerator, cable TV, a DVD player and what have you. There’s nothing more welcoming than a chilled drink after traversing the campus on a sweltering day and she never missed an episode of her favorite Telemundo series or the latest Nollywood movies. But her grades gave her no comfort or cheer. At the end of first year, she “earned” three C’s. The other lecturers, “for reasons best known to them, decided to punish” her “efforts with D’s and F’s”. The class performance was generally poor but Gerald got two A’s, no D’s, no F’s. She was so proud of him! To make such a result after joining the class late was truly a feat, she told him. He told her the secret was night class but she wasn’t prepared to lose her sleep for any grade. By their second year, she came up with the “bright idea” that they should move in together. He confessed that he was largely supported by his roommate as his parents had only a paltry and irregular government pension to live on. That admission made her to fall harder in love with him. What honesty! What guy would tell a woman the truth about his financial position, she asked herself. She offered to foot most of the bill. Her father’s younger brother, Chuka, loved her to bits and had always spoiled her. She got the funds from him on the pretext that she needed to pay for computer programming trainings that will get her Microsoft and Oracle certification before graduation. She begged him not to tell her parents because they will discourage her thinking the trainings will interfere with her Mass Communication studies and she assured him that they won’t. She paid for a room off campus and with Gerald’s meagre help, they furnished it to their taste. From that point, they cast off all restraint. He began to call her “wifey” and as well he might for were they not doing everything a married couple did? She began to cut classes because her wifely duties were really taking a toll on her. While her friends were in the library, she checked recipes online, shopped and performed culinary miracles to wow him with all manner of delectable dishes. Whoever said that the way to a man’s heart was his stomach was spot on because Gerald was, in her view, totally consumed with love for her. And what better proof than this sms and countless others, the pings, the Facebook and WhatsApp messages? The late-night calls too, although it’d been a while they’d had one of those. They would have spent this first internship (IT) together working at Voice FM, the new Radio Nigeria station in Nsukka, if not that her parents had scuttled her plans by arranging that she should work at the Vanguard newspapers in Lagos. She looked at the gifts she had carefully selected for him – an Android (Infinix Hot) and a suit that spoke of sartorial splendour sewn by one of the best hands in Maryland. She would have bought more if she didn’t have to factor in their household expenses once she got back to school. She had told him there was no getting out of the remaining weeks of the IT but she meant to surprise him by returning to Nsukka tomorrow. How happy he will be, she thought. She could just imagine their reunion. He would scream, oh so loud, and he would pick her up and spin her round. No, he would carry her and dance around the compound, knocking on every door and announcing, “My wifey is hooome!” Poor thing, she thought, how he had missed her! Now, who was she kidding? She’d probably missed him even more. And that’s an argument that would never end, you know, who missed the other more. 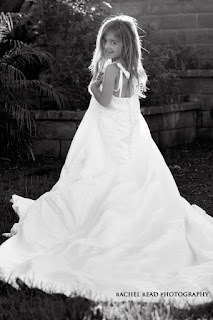 The next morning, her parents dropped her off at the Peace Park, telling her to be a good girl, to remember the kind of family she came from and to ensure she came out with nothing short of a 2:1 (second class, upper degree), which was the family standard. She had dutifully nodded, wondering what their reaction would be if they knew how poor her grades were or that she was shacking up with her class mate. She had told them she got mostly B’s in her first year, a couple of A’s in her first semester, second year and that other results were yet to be released. The journey was uneventful and painfully long. She blamed her parents for being pinchpennies and making her travel to school by road. But very soon, she would see Gerald and this journey would be worth the while, she assured herself as they approached Opi. Fifteen minutes later, she nearly pushed down the lady by the bus door in her hurry to disembark. She offered her apologies, helped the driver untie her suitcase behind his seat and dashed to the road to pick a motorcycle taxi (okada). Sensing her impatience, the okada rider sped down University Market Road, crossed the UNN main gate and made for Onuiyi Link Road. In less than no time, they were in front of the house she indicated along Onuiyi Road. She saw two of her neighbours lounging in front of the house. They seemed to be snickering at first, but they quickly composed themselves and came to help with her luggage. “Na wa oh!” one of them, a student of Chemistry called Dapo, said. He held her suitcase to prevent further movement and asked, “My dear, how was your journey?” It was nice of him to ask but she didn’t travel this far to see him, she thought. But why start a quarrel at the beginning of the session? So she replied, “It was fine.” She added a lie for good measure, “My people send their regards”. The other boy, Ahmed (in Linguistics), whose eyes had been darting about, asked if he could get her something to cool off with from the nearby kiosk. She couldn’t stand it anymore. “What are you guys up to?” she queried. “Why are you waylaying me like this? I hope Gerald is okay.” Without waiting for their response, she grabbed her suitcase and marched into the compound. A sure sign that something was amiss was the female underwear on the clothesline in front of their room. She burst into the room and could not believe her eyes. Gerald was cuddling a girl she recognised from their Natural Science class! May God guide our children and help them to live in a way that honours Him in Jesus’ name. Amen. 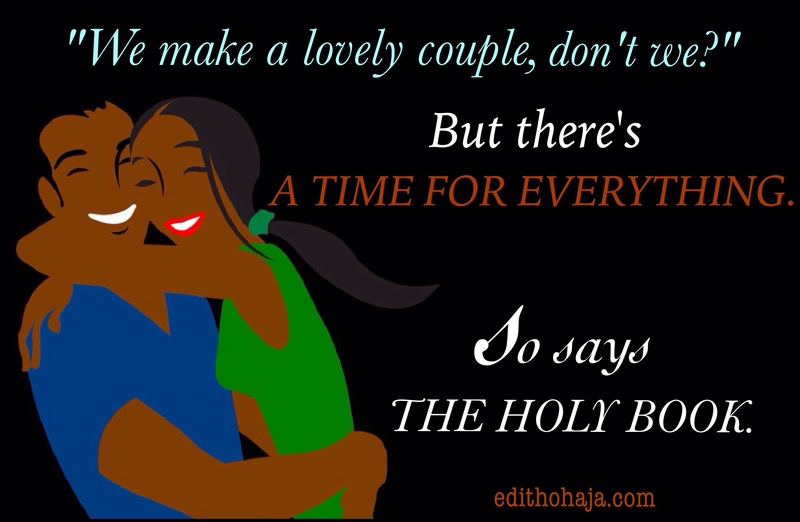 You can visit edithohaja.com for more inspirational, educational and entertaining articles, poems, quotes and graphics. Subscription is free.